Need ideas for using up all your summer squash? This is a good recipe to try! 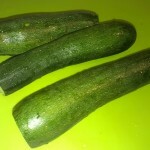 (For even more zucchini ideas, check out this list of 35 zucchini recipes from around the web from Two Peas and Their Pod). Preheat oven to 400°. 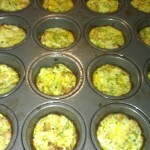 Spray a muffin tin GENEROUSLY with cooking spray. I used three medium size zuchinni's that equalled just a little more than 1 cup of zuchinni. 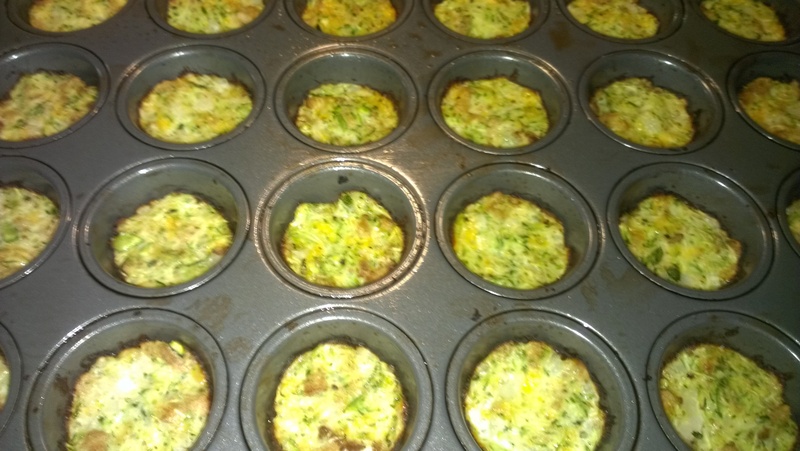 (this made 24 mini bites – when I make them again I think I will use a regular size muffin tin that will make 12). 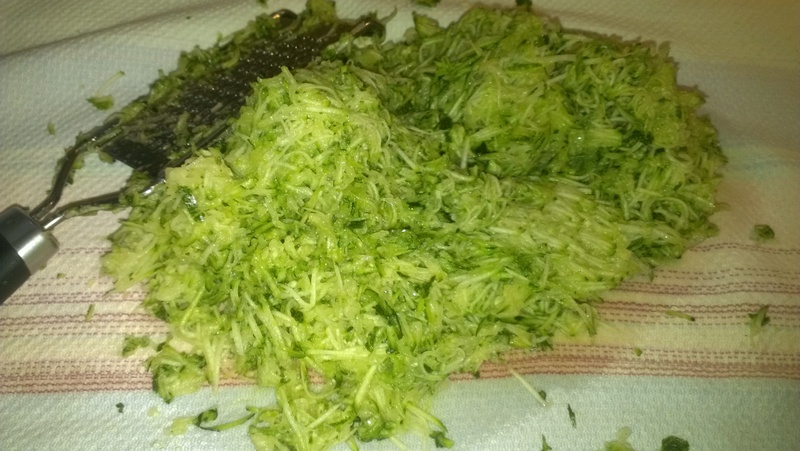 Grate the zucchini into a clean dish towel. 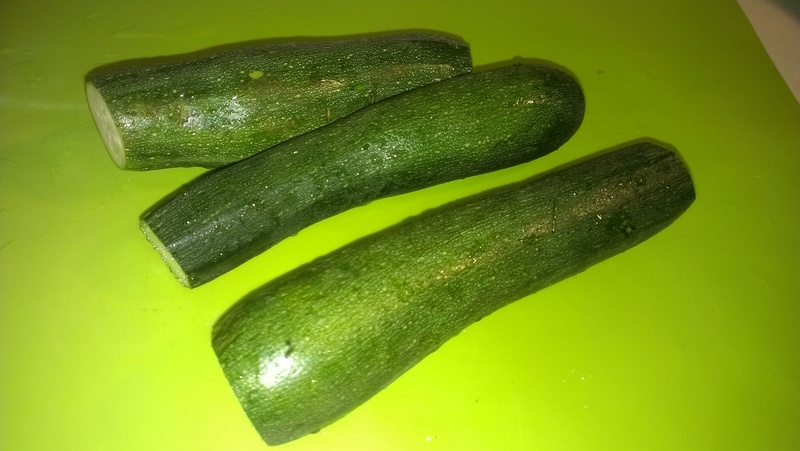 Wring all of the excess water out of the zucchini. Combine all of the ingredients and season with Mrs. Dash garlic and herb seasoning and salt and pepper to taste. Fill each muffin section to the top. Push down on the filling with your spoon so it's compact and won't fall apart when you take them out. Bake for 16-18 minutes, or until the tops are golden. Remove from oven and let sit for a few minutes. 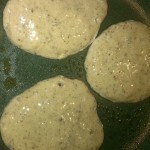 Then use a rubber spatula around the edges to remove from the muffin tin. Enjoy!! 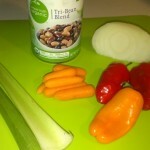 Want a refreshing protein rich salad that is as simple as 1, 2, 3? 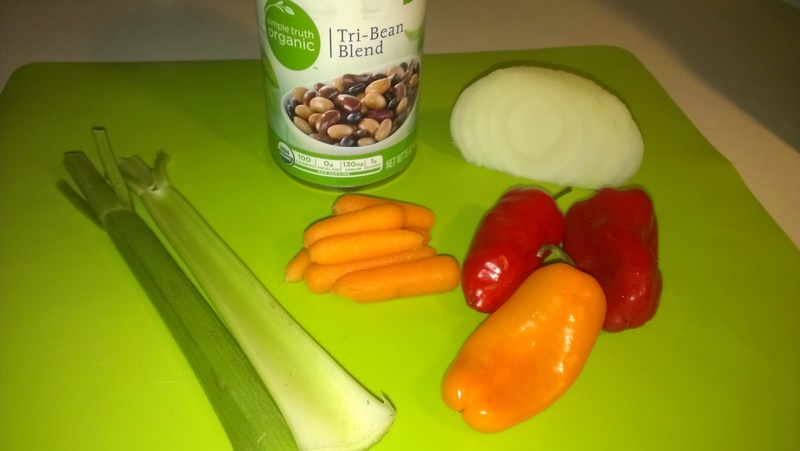 Try this quick and easy Three Bean Salad. Drain and risne beans. 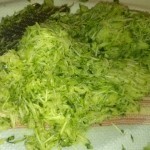 Wash and cut up veggies. Feel free to add anything else you like! Put in Bowl and set aside. Make a quick dressing (or use one you like). Pour approx. 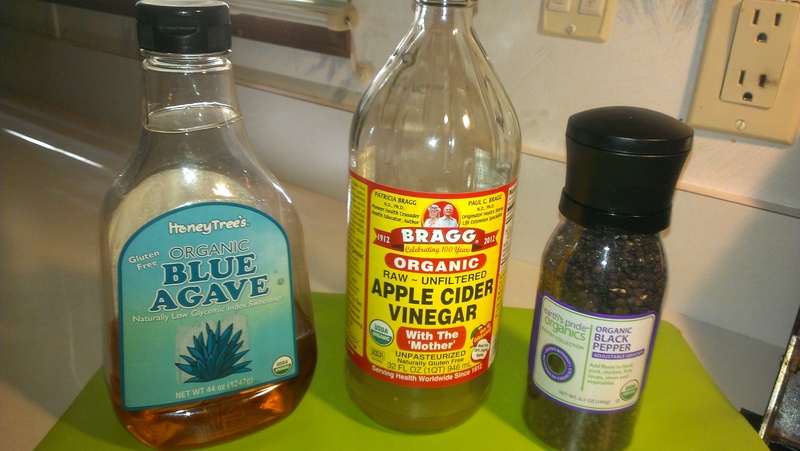 2 ounces of Apple Cider Vinegar in a shaker cup – add sweetener to taste (your choice) and some black pepper. 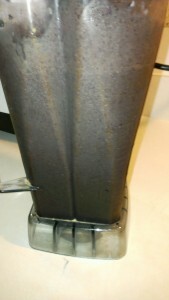 Mix well and pour on top of bean mixture. 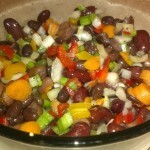 Stir – refrigerate at least an hour and then enjoy! 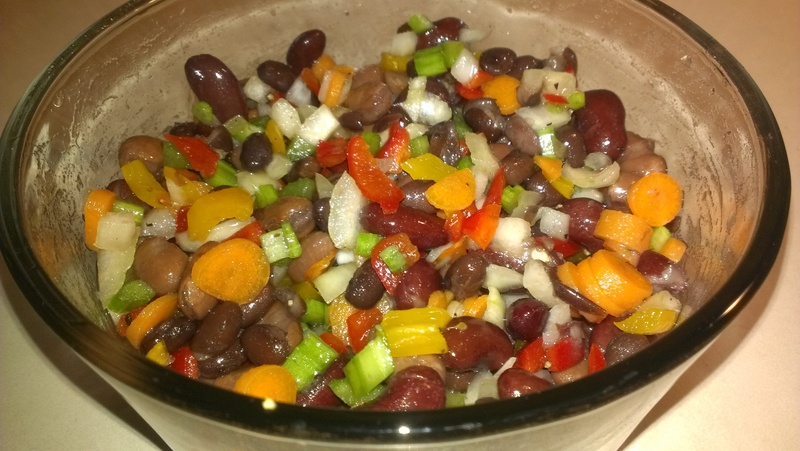 Note – there is NO oil in this recipe and the beans will keep you feeling full longer! I love how colorful this salad is and no need to worry about spoiling if you take it on a picnic! 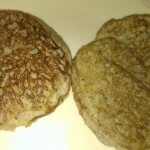 I saw this recipe yesterday on Facebook from (http://www.beyonddiet.com) - they called them 2 Ingredient pancakes. I decided to give them a try this morning! I put the "Two Ingredients" in my vitamix and also added 1 tlbs. 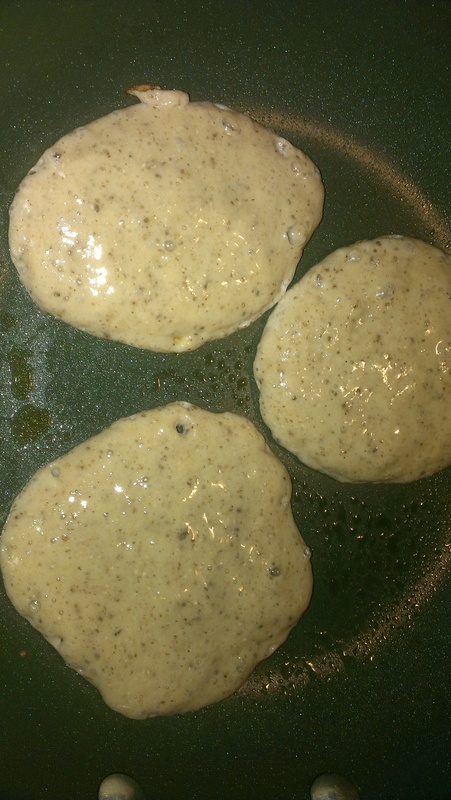 of chia seed gel; a few shakes of cinnamon and 1/4 tsp. of vanilla. 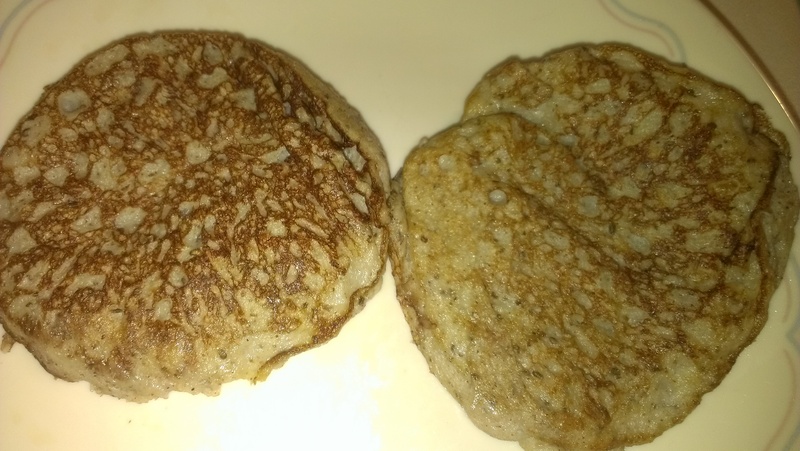 It made 6 small pancakes (if you make them small they are easier to flip). I sprayed a little spray in my non-stick pan and cooked like regular "pancakes". They turned out great! If you like the taste of banana, or banana bread I think you will like them. They are quick and easy and perfect for all my gluten free friends! Enjoy! 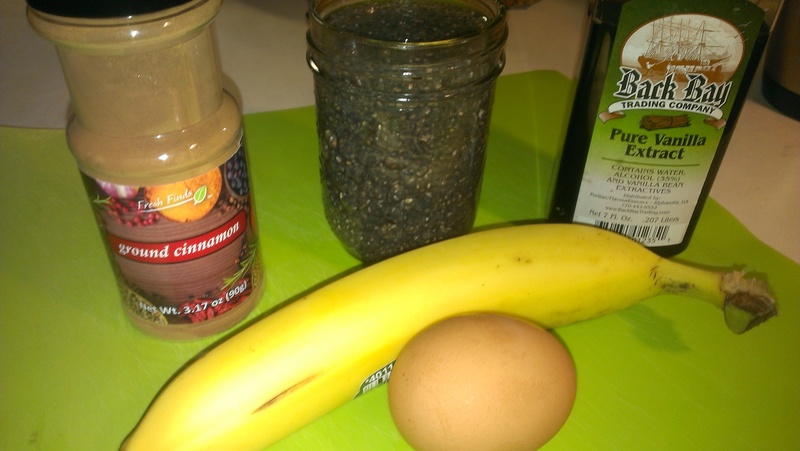 NOTE: To make Chia Seed gel put two tablespoons of chia seeds in a jar with 8 oz of water. Give them a few shakes every few minutes so they don't clump and then wait about 15-20 minutes and they are ready to use in recipes! 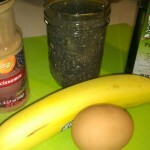 I'll be posting more about how I use chia seeds in recipes! 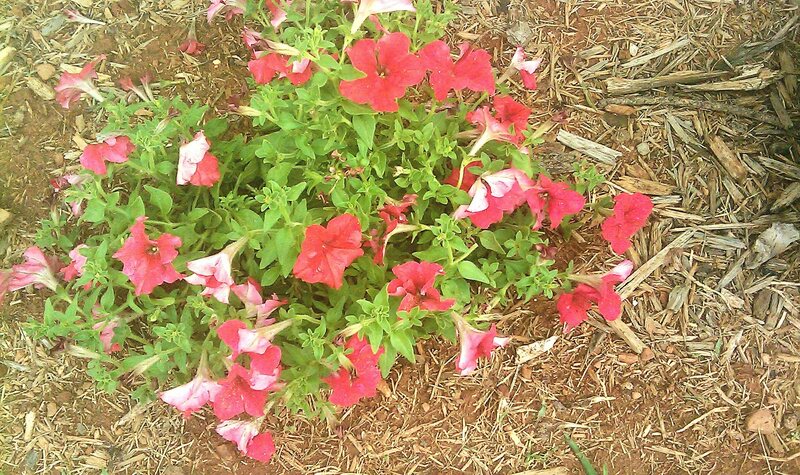 If you remember from my post "The Ultimate Price" I included a picture of some sickly petunias I purchased on clearance and nursed to health. Well, here’s the latest…..
Got pounded by heavy rain and high winds last week! There was no protection for the tender plants! 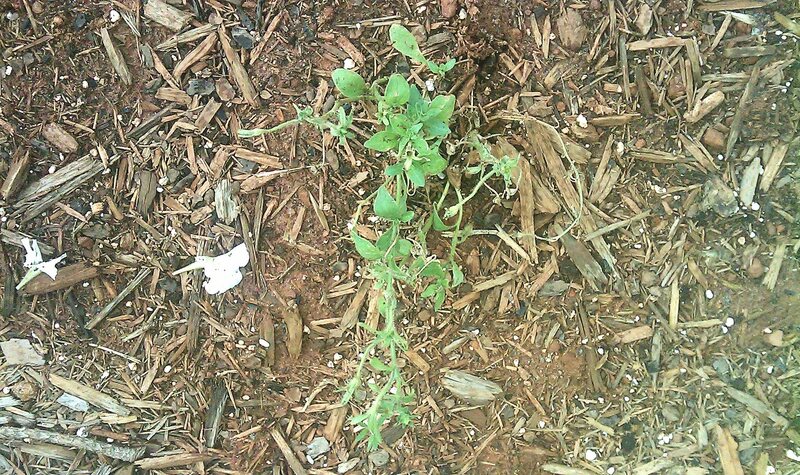 So now they have shriveled up and are dying! I was so shocked and saddened to see this, especially since I knew how far they had come! It reminded me of how Jesus might feel about us. We initially trust Him for salvation; we begin to bloom and blossom for Him, but then somewhere along the way we forget about Him and choose to handle the storms of life by our “self” thus getting out from under His protection. Lesson learned: If we decide to let “self” take matters into our own hands, we shouldn’t be shocked when we begin to shrivel up and die. Unlike the little plant above, we have protection! We CAN be prepared for the storms of life! HE GAVE HIS ALL, so that we might have Life and Life more abundantly! He is ever at our side – protecting us, strengthening us and leading the way! HE IS OUR ROCK – HE IS OUR FORTRESS – HE IS OUR DELIVERER – HE IS OUR ALL IN ALL! WHATEVER STORM YOU ARE GOING THROUGH RIGHT NOW – TRUST HIM! 18 The Lord is near to all who call upon Him, to all who call upon Him sincerely and in truth. 19 He will fulfill the desires of those who reverently and worshipfully fear Him; He also will hear their cry and will save them. It is hard to believe that it is June and summer has begun (not officially but almost)! I have always loved summertime. I have such fond memories as a young girl going to the beach, picnicking, driving on the country roads and enjoying the sweet smell of honeysuckle, gardening and there is nothing better than the taste of fresh home grown tomatoes! As I recall I didn’t particularly like weeding the garden (and I still don't), but I sure enjoyed picking the fruit! 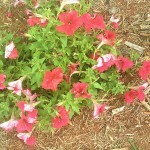 The Lord has taught me some very basic but valuable lessons during my gardening endeavors. 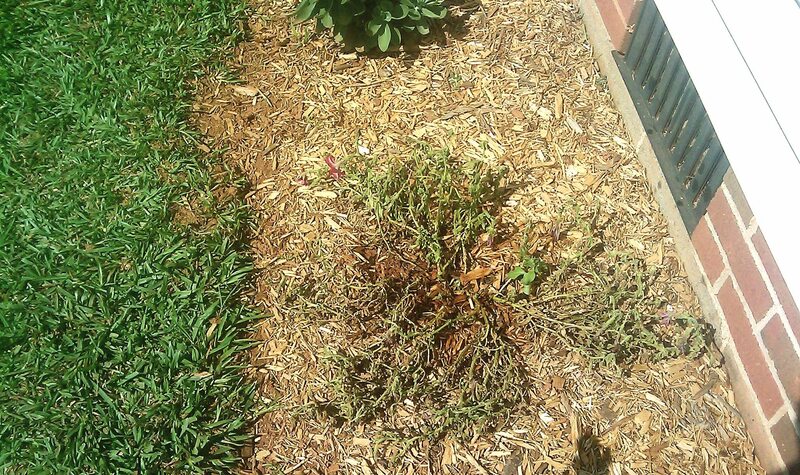 Last year I was working as a Property Manager and needed some plants to spruce up the yard. 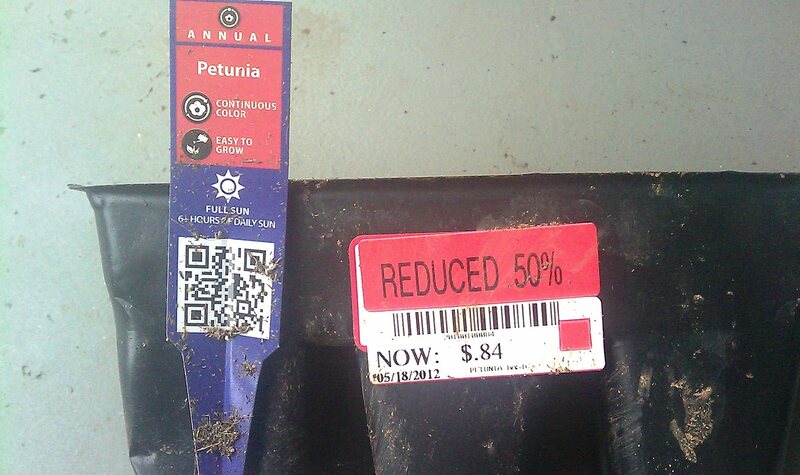 Since I was on a shoestring budget I had to do a lot of bargain hunting. It was fun being able to purchase various kinds of plants/flowers at a greatly reduced price and then what a delight to watch those rather sickly and scrawny looking plants grow into beautiful flowers. 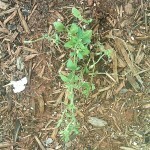 Perhaps this is just a very small touch of what the Lord Jesus feels, as He delights in watching me grow as His child! 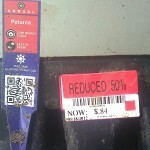 (Who unlike I, paid full price for me!) What an awesome picture! Thank you Jesus that you were willing to pay the ultimate price for me! While I was yet a sinner, you died for me and delight in me! I love this time of year and I especially enjoy the longer days. Unfortunately, this time of year can also bring about many destructive storms. How devastating to see all the destruction in Oklahoma just this past week. We can talk about the forces of nature, observe its effects, and sometimes even predict what it will do; but we cannot control it nor can we do anything about it. Similarly, we can observe spiritual truths, principles, etc. that make up the Lord’s order of things, but we can't control them or manipulate them to achieve our own ends. The invisible seasons of spiritual growth are usually not as cut and dry as the visible elements of the world around us. In my experience, our spiritual journey will probably not correspond with the timely arrangement of the seasons. The periods of life, death, burial, and resurrection in our spiritual walk are as vital to our spiritual growth as the four seasons are necessary to the life of creation. Food for Thought and Life……. Ok, Ok…..I surrender! I've put it off long enough! For those who've been asking me to write about women/relationships from a biblical perspective – the wait is over! The Bible does speak about the "older women" teaching the younger, so after 43 years of marrriage/parenting and learning from experiences along life's way, I guess I fall into that "older women" category now and just might have some wisdom worth sharing! Please note: In this blog I am merely sharing "Life" and Biblical principles from my own personal journey and/or experiences helping others. So, as they say in the south, come on in and sit a spell! May you find encouragement, hope and inspiration here! John 10:10 "The thief cometh not, but for to steal, and to kill, and to destroy: I am come that they might have life, and that they might have it more abundantly." Are you experiencing the abundant life in your marriage/relationships, or are you drowning in the sea of depression and feel like you are at the point of no return? Aren’t you glad Jesus doesn’t give up on us and want to throw us away every time we mess up and don’t do what we know we should? If that were the case we would be “in a heap of trouble” as they say in the south! May I boldly say my dear sister, with Jesus as our model, what makes us think we are better than Jesus and can tear down and give up on our husbands/relationships so easily? Does that sound familiar? I must admit that I had a few of those thoughts early on in my marriage, but I am thankful the Lord eventually brought me to my senses and took my focus off of my husband and helped me see the picture more clearly. How we "respond" to situations with our spouse can either mend or break a relationship. Marriage takes work – it is not something that just happens. Most of the conflict we experience in relationships is really a battle of self/the flesh – the flesh wants its way. The flesh wants justice. The flesh wants revenge. The flesh is full of pride (we can do no wrong – it is always the other persons fault etc.). It sounds simplistic but something wonderful begins to happen when we take our focus off of the other person and begin to focus on ourselves – more specifically, our flesh. Will we stand before the judgement seat one day and have to give an account of our spouse??? No, we will have to give an account for our own words and actions. This is not to negate that what the spouse may be doing is totally wrong etc., but if we will begin to pray for our relationships instead of being a continual "drip" I believe change will take place. We really can't change anyone except ourselves – and actually we can't change ourselves – only the Lord Jesus can do that! So our prayer should be for the Lord to show us how to respond to our spouse and to see with His eyes what is really going on. For instance, do we lovingly communicate with our spouse how the things he/she does affects us? Or do we speak out of wounds that make the situations more volatile or worse yet – do we not say anything, keep it all bottled up inside until finally we can't take it any more and then explode?? As the Bible says, “Let us be careful to judge ourselves lest we be judged”. If we will judge our speech, our actions, and our thoughts and allow the Lord Jesus to teach us the proper response, I believe we will see a difference in the relationships with those around us. And as my husband says, "If Jesus is not coming out when we are squeezed, (put under pressure etc.) why not?" After many years of working with couples, the main problem we see is one person gets triggered by something the spouse says or does or doesn’t do – then the other spouse responds in the flesh – neither party is in the Spirit therefore no one can pray (since the flesh is in control) and then it turns into a “no win” situation. It is a fleshly response. Ultimately when the Spirit is back in control then that is when you can say for example: “I was wrong to say that – I know it hurt you – please forgive me”. Don’t get me wrong. Things are going to happen in our relationships that cause conflict, but with the Lord in control they will happen “less”! Allow the Lord to show you how things look from His perspective. Are there areas of known hurt from the past that have not been cleared up? The Lord will teach you all about it – if you will allow Him to. We are fearfully and wonderfully made ……..each person is unique, so it is not as easy as a ”10 Step program” to have a successful marriage/relationship – it will take diligence on each person’s part to sit at the feet of Jesus and allow Him to teach you the steps you need to take! This is part of the “personal” relationship we have with Him! He knows best what our spouse needs. Don’t give up my dear sister! All things are possible with Jesus – He will show you the way! 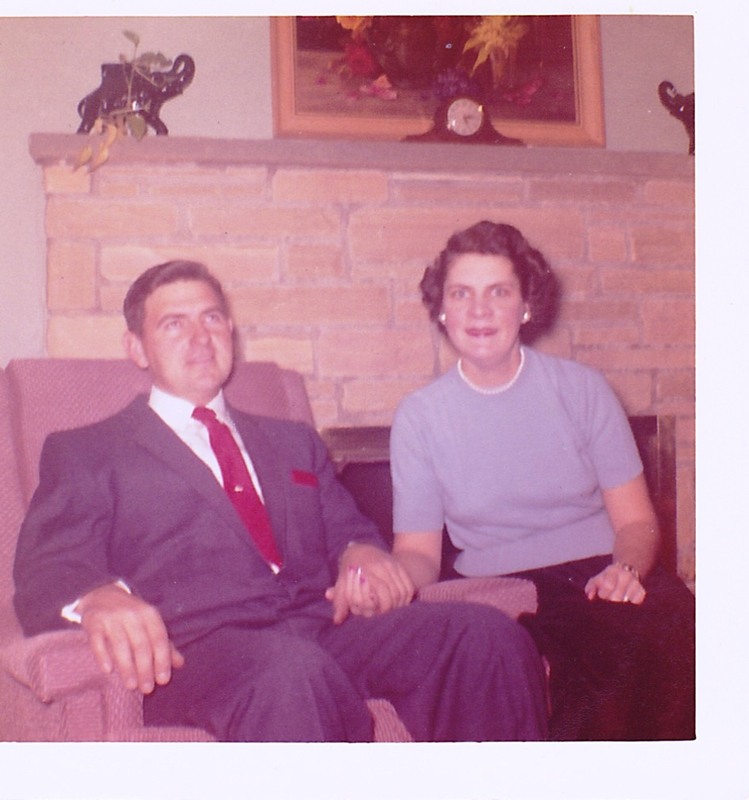 I thought it would be fitting to launch this blog on Mother's Day in honor of my own precious mother. She passed away in 2008 after a long battle with some major health challenges. 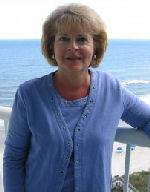 Her love of the Lord, and her family is what kept her going when days looked dim. My mom is responsible for instilling in me many of the qualities I possess today. I am so thankful she took the time to share "life" with me and pass along the "home" making skills that have served me well throughout the 43 years of my own marriage. 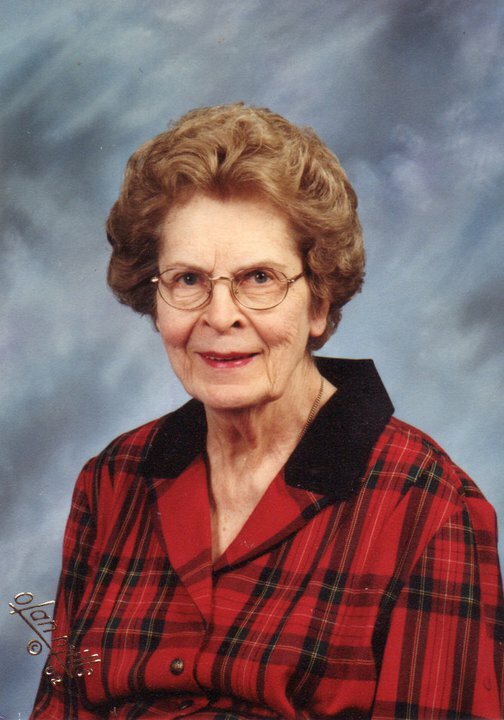 Mom loved to cook, bake and try new recipes. She also loved to shop! 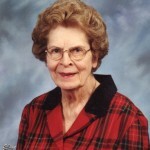 I remember taking the train to Philadelphia to go to her favorite stores – John Wanamaker and Strawbridge and Clothier. I also remember our trips to Atlantic City and the boardwalk, collecting seashells, our Sunday afternoon drives to the country and going to Carvel for ice cream! Mom also loved to laugh. She would keep us all in stitches as she recalled some funny stories from her past! We often joked she should write a book! 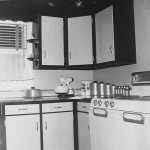 I have many fond memories of helping mom in the kitchen as a young girl. 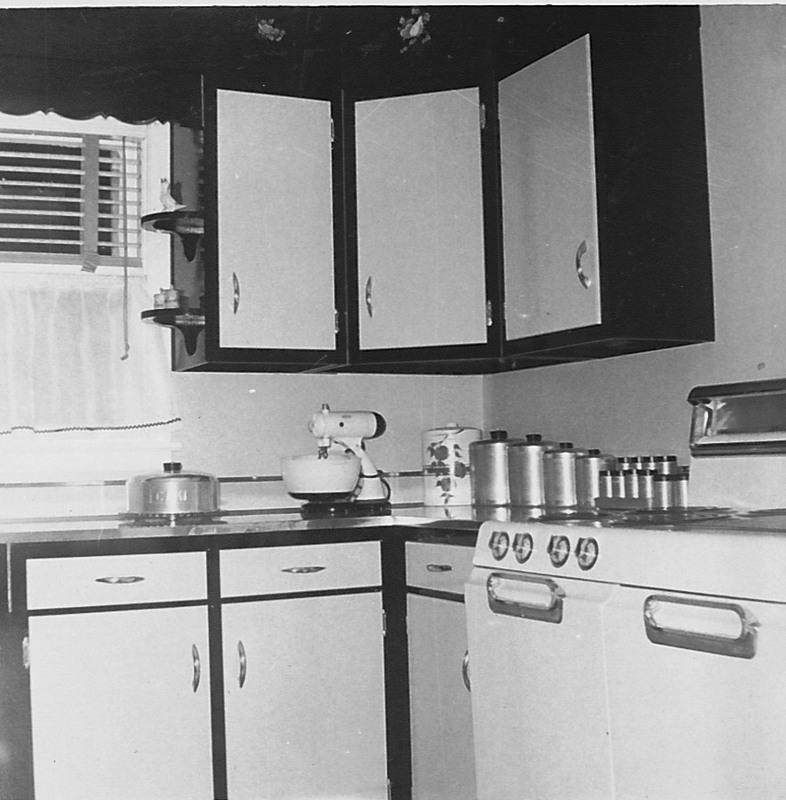 You can imagine how excited I was when I found this picture of the first kitchen I remember cooking in. On the counter is our cake pedestal, cookie jar, the mixer we used to make all our yummy cookies and cakes and two of those stainless steel canisters held the flour and sugar we used! Mom was always experimenting with new recipes and I would be right there alongside her standing on my little stool. (I wish I could find a picture of that!) I remember one time smelling the vanilla extract and asking if I could have some. Mom said "No, it doesn't taste like it smells". I just couldn't understand how something that smelled soooooooo good would not taste good! So when mom turned her back I put some vanilla extract on the measuring spoon and popped it in my mouth! Much to my dismay the vanilla did NOT taste anything like it smelled!!!! Yuck -Mom was right!!!! I loved making cookies using that neat cookie press! Oh what fun we had making our famous "butter cookies" with all those different shapes and adding sprinkles and colors! I am typing now through teary eyes as I recall pulling out one of her hand written recipe cards just the other day. I will always treasure those special memories. Even though I didn't have any daughters of my own, I did manage to have some fun in the kitchen with the sons God gave me! And now, thanks to the internet I can share so many of the tips and recipes I learned along the way! I enjoy taking some of our "old time favorite not- so- good- for- you recipes" and changing them to healthier versions. Check back often to see "what's cookin in the kitchen!" 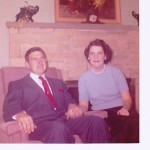 So, thanks for the memories mom (and dad!) ! You will never be forgotten! And for all the moms out there who feel overwhelmed at times – just remember – children only hold your hand for a little while – time passes swiftly by. Your labor of love will not go unnoticed! In keeping with the"Fast Food" theme from my post the other day here is one of my favorite "fast food" Smoothies that I like to make for breakfast. It doesn't have to take a lot of time to eat well! 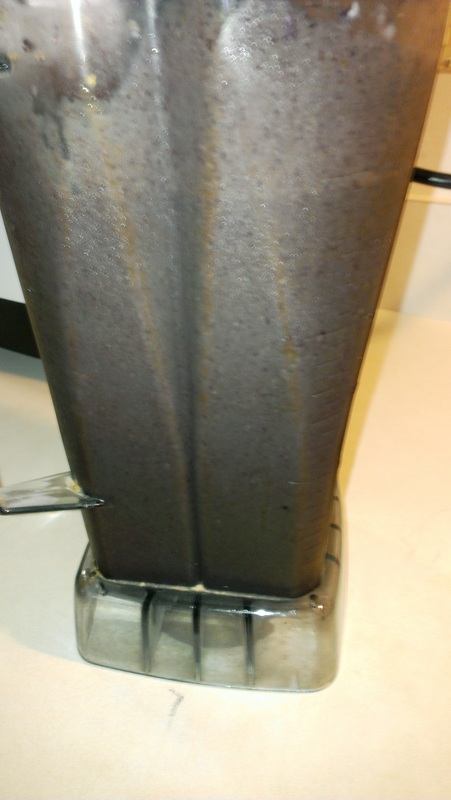 Just about everyone love's smoothies. 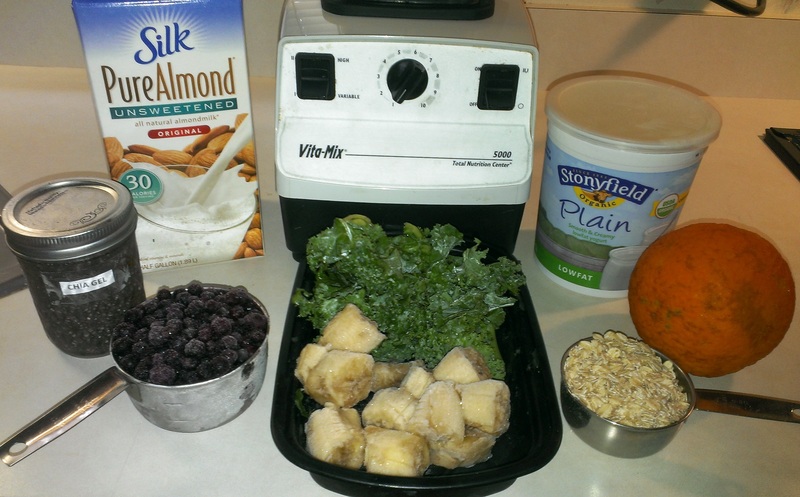 It's easy to add in some "stuff" kids might not normally like to eat so it's a win-win for everyone – quick and easy for mom and a great way to sneak nutrition in for the kids! First, assemble all the ingredients you plan to use. 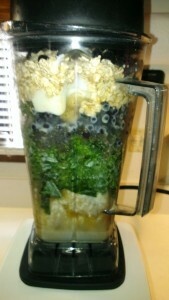 Next, put it all in your blender!! Now its ready to pour in your favorite cup- enjoy! • Recommended by Jonathan Wright M.D. 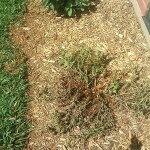 Much in the same way cranberry works, ClearTract interferes with the ability for the bacteria to cling. This is sometimes called the "anti-adherence effect". ClearTract takes this effect to a whole new level and accomplishes more than cranberry has ever been able to achieve. ClearTract is the most potent anti-adherence action product to date. ClearTract uses a simple but rare sugar called D-Mannose. D-Mannose is naturally occurring in peaches, apples and certain berries. This rare sugar has unique characteristics that differ from most sugars as it is not metabolized nor is there any insulin response to it when consumed. Instead, it is rapidly excreted into the urinary tract. Once inside the urinary tract ClearTract goes to work binding to bacteria and disabling their ability to stick. If the bacteria is unable to stick they can't colonize and multiply and are simply flushed out of the system. The ingredients are 100% D-Mannose, which is a rare saccharide that is naturally occurring in some plant and food substances and even produced in the body. It has no toxicity and is not a drug, it is a nutritional food substance. It is safe, and all natural. 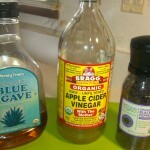 Since it isn't metabolized it doesn't interfere with blood sugar regulation, even for diabetics. It creates no disruption or imbalance in normal body microflora, so one wouldn't be more prone to yeast infections as is often the case after a course of antibiotics. It's safe even for pregnant women and very small children. Caution: Pregnant or lactating women, diabetics, hypoglycemics, and people with known medical conditions and/or taking drugs should always consult with a licensed physician and/or pharmacist prior to taking dietary supplements. Recent research from the Weizmann Institute of Science indicates that there is another approach to dealing with infections. The majority of infectious diseases are initiated by adhesion of pathogenic organisms to the tissues of the host. Bacterial adherence to mucosa is an initial and important stage to cause urinary tract infection. Recent Studies show that certain compounds recognized by the bacterial lectins block the adhesion of the bacteria to the binding cells. This blocks adhesion and colonization. The result is that the bacteria can't stay and are simply flushed out of the system. D-Mannose is a unique carbohydrate molecule that possesses two unique properties. The first important property is that when consumed orally it is not metabolized like other carbohydrates and instead is excreted by the kidneys into the urine. Secondly, once it is in the urine it has a high affinity to the bacteria lectins that are used to adhere to the urinary tract lining. Once these receptors are filled the bacteria can’t bind to the urinary tract wall preventing colonization and are simply flushed out of the system. ClearTract is a nutritional supplement that contains 100% D-Mannose. D-Mannose is not a drug, it is a nutritional supplement and is naturally occurring in peaches, apples, berries and even produced in the body. 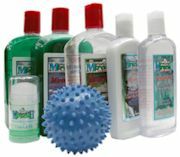 It is safe for all ages and nontoxic. The slightly sweet powder mixes well in just about any beverage. However it is important to get plenty of liquids to ensure frequent urination, so 6-8oz. of water is recommended.